Categorization a.k.a classification and tagging should done to keep your data well organised and do deep dive analysis on your data. 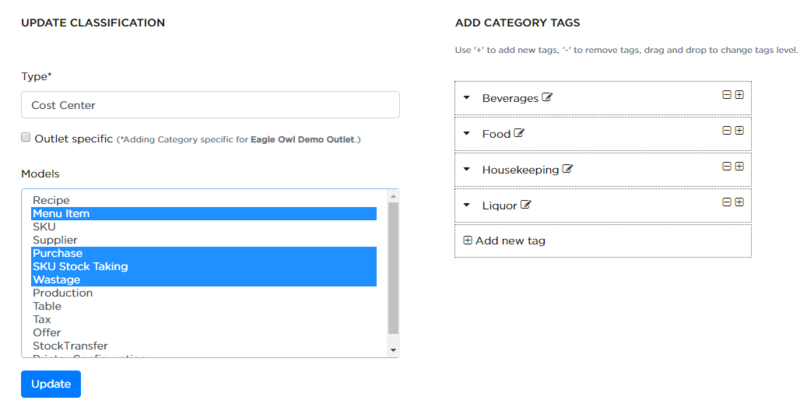 Your data - freedom to create your own category and tags. For e.g. you would want to categorise SKU&apos;s by type, recipes by menu type or diet, sales by cost center and menu type. 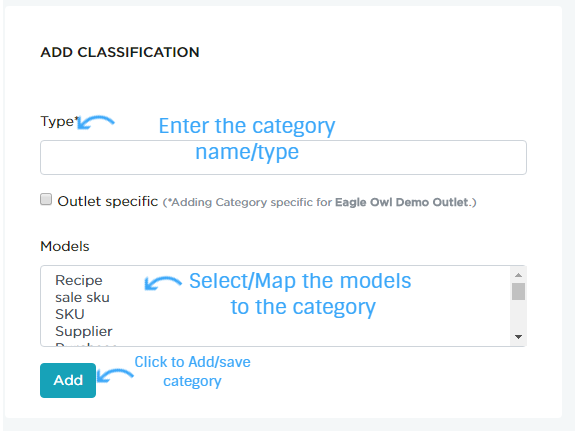 Our system is very flexible and you can create a category with custom tags and apply it to any module (or multiple modules). 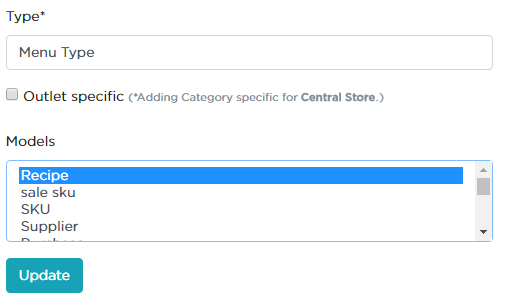 Go to SETTINGS-> CATEGORIZATION AND TAGS to create categories. Click ADD CATEGORY button to add category. Outlet Specific: By default, any added category is visible across multiple outlets. If this category is specific to a particular outlet, choose this option. Note that this category will not be visible in other outlets, if this is selected. As shown in above example, Menu Type category has been applied to Recipe model. 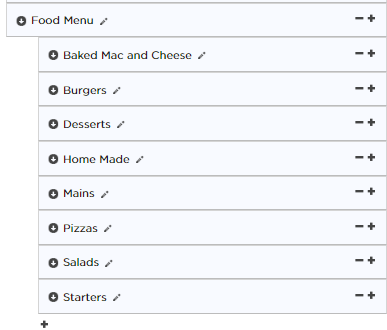 Now, Menu based categorization is deployed in Recipe model. Click here for detail. As shown in above example, Cost Center category has been applied to four models. Now, Cost Center based tags is available in all the mapped models. As shown below, + sign is used to add the category tags and - sign to delete the tags. As shown in above example, tags that present under Menu category are displayed.